It is said that he who holds the seven crystal Dragon Balls will be granted one wish by the Eternal Dragon which is summoned by the gathering together of the Balls. The wish may be for power, untold wealth, or immortality -- the possibility are endless. However, he who seeks to have his wish granted is wise to choose his desire carefully, for once the wish is granted, the Dragon Balls are once again scattered to the four corners of the Earth, where they await the next determined wish seeker. It is rumored that there is another set of Dragon Balls -- the original ones which are even more powerful than the Earthly ones. The rumor purpoirts that the original Dragon Balls remain on the planet Namek, where they were created. The epic saga that has topped ratings chart throughout Europe and Asia has finally come to the US. DRAGON BALL Z, the creatio of Akira Toriyama, Japan's most well-known and popular animation artist, has dominated the Japanese television ratings charts for more than ten years, consistently remaining the number one children's show there. The saga has achieved top ratings in Europe as well, dominating the competition in France where, for three years the show was "number one ... maintaining a 65% rating since premiering," according to Nikket Trendy, and in Spain, where Sofres reports that the show exploded on the scene, recording average market share topping 75%. DRAGON BALL Z is a mystical action adventure series of riveting stories, driven by extraordinary characters who embody the essence of good and evil. The series is filled with magical moments of wonder which reveal the charm, humor, strenghts, weaknesses and foibles of the characters, adventurers, wise sages and diabolical villians that make up its casts of players. DRAGON BALL Z is the story of a fearless defender named Goku, his beautiful wife Chi Chi, their son Gohan and a handful of friends dedicated to defending the Earth and that is good against the treacherous forces of darkness, as embodied by the evil Saiyans. The evil which lies within the hearts of Saiyans is so strong that they have only to send one of their kind to bring about the destruction of entire planets. But the Saiyans quickly learn that darkness is no match for the spirit of righteousness that burns brightly withinb the hearts of individual like Goku -- those dedicated to a cause. The saga begins with the arrival on Earth of Raditz, a Saiyan who reveals that he is Goku's older brother. Interrupting the Great Peace, Raditz sets in motion a great battle between good and evil which moves mountains, changes the course of rivers, and even alters the Earth's weather patterns. Before he is ultimately defeated, Raditz reveals that a contingent of Saiyans even more powerful and treacherous than he is coming to Earth. All that stands between them and their takeover of the planet is the small, but determined. band of heroes led by Goku. It is extremely ironic that Goku should be the one to lead the stand against the aggression of the evil Saiyans, for he himself is a Saiyan, a secret that he only now learns. He was originally sentto Earth as a baby, programmed to destroy the planet as he grew up. The plan went awry when he was discovered in the wilds as an infant by a peaceful old man who raised him and changed his life -- and destiny -- forever. A near-fatal head injury scrambled Goku's programming, leaving him innocent and pure of heart, Earth's ultimate champion of good. While both he and the beautiful princess Chi Chi are young, Goku saves her life, and she grows up to become his wife. A loving partner and a doting mother, Chi Chi raises her son to use his brain rather than his brawn. Peaceloving and pure of heart, Chi Chi is also a formidable martial artist who can defend her loved ones against the forces of darkness. Gohan, Goku's and Chi Chi's young son, is the shining hope ofthe future. Blessed with the best qualities of both his parents, he is pure, honest and trustworthy. Peaceful like his mother, Gohan rises to the defense of the Earth when the future of the planet becomes threatened by the Saiyans. His life is lived somewhat in conflict as his peaceful nature is often challenged by the evil forces which constantly pose a threat to mankind. Master Roshi is the wise and ancient master of martial arts who trained Goku to be the champion he has become. Now extremely old, Master Roshi has lived on a deserted island for many years as a hermit, but is still an extremely powerful channeler of energy. In fact, it is he who taught Goku and his ever-faithful friend, Krillin, the Kamehameha, an energy force which is so powerful that it can destroy mountains. The cause of good is indeed fortunate to have Master Roshi on its side. And Goku is fortunate to have as his confidante, Krillin, a short, bald, and extremely tenacious defender whose loyalty and dedication are unequaled. Krillin originally studied martial arts with Goku under Master Roshi, and the two were fiece rivals, but after seeing how strong the Power of Light burned within Goku, Krillin began to hold Goku in very high esteem. Now the two are the best of friends, working side by side against the evil that threatens the harmony of the planet. The second strongest being on Earth is Piccolo. Once Goku's sworn arch enemy with his own evil agenda, Piccolo has joined forces with the powerful defender in order to defeat the greater and more powerful evil of the Saiyans. Once Goku's son, Gohan, begins to build a strong emotional bond with Piccolo, the alliance between Goku and Piccolo grows even stronger. Should the day come when the Saiyans are forever driven from the Earth, it remains to be seen what will happen between Goku and Piccolo. Handsome, brave and strong, Yamcha happily joins with Goku in his noble quest. Usually accompanied by his devoted feline companion, Puar, Yamcha harbors a not-so-secret crush on Bulma. Tien is an intense man with three eyes whose power is so strong that he can crush rocks on his head or stop a waterfall's flow. Joined by his princely companion, Chiaotzu, Tien readily accepts the challenges of the small, but determined band of defenders he has joined. And then there's Yajirobe. Officially, he's part of the team, but he's also the first one to head for the sidelines at the faintest mention of battle Ñ but make no mistake, Yajirobe is there for his comrades when the pressure is on. Rounding out the contingent of heroes who strive to rid Earth of evil and darkness is Bulma. A misguided woman whose personality is sometimes hard to take, she is gifted with incredible determination and technical talent. A mechanical genius who can fix and operate anything, Bulma is fiercely dedicated to the cause of good, and is a valuable member of the team. The Namekians, those people from the peaceful planet Namek, are an interesting and introspective race. Their hierarchy is based on the villages in which they live, each governed by wise and revered Elders. Physically,the Namekians are best described as a combination of reptile and insect -- green, and able to regenerate limbs. Each is born to preform one function in life. For example, one is a soldier while another is a healer. They were born to do this, and they will do this until they die. The people of Namek are dedicated to peaceful living. Quite opposite from the Namekians are the Saiyans, who are evil to the core. They are the strongest and most powerful force of darkness ever to enter the universe. Born long ago to a primeval force on a farway planet, the Saiyans grew into a warrior race so devastating and relentless that their own planet, Vegeta, could not survive the centuries of destruction. Ultimately, they united into one unbeatable and overwhelming force. Now a supreme warrior race, holding conquest above all else, the Seiyans are obsessed with continued training to become even more treacherous and deadly. Targeting other planets, the Seiyans leave choas and destruction in their wake. They have subjugated the peaceful people of the universe, and have destroyed those who dare to stand up to them, Now, they have set their sights on Earth as their next, and greatest, conquest. Led by Vegeta and Nappa, the Seiyans arrive on Earth. The evil Vegeta is intent on obtaining the Dragon Balls so that he and he alone can become master of the entire universe. With unlimited capabilities to create evil Saibaimen soldiers, Vegeta and Nappa launch their attack against the Earth, only to be resisted by the small band of fiecely determined heroes who bravely stand against them. 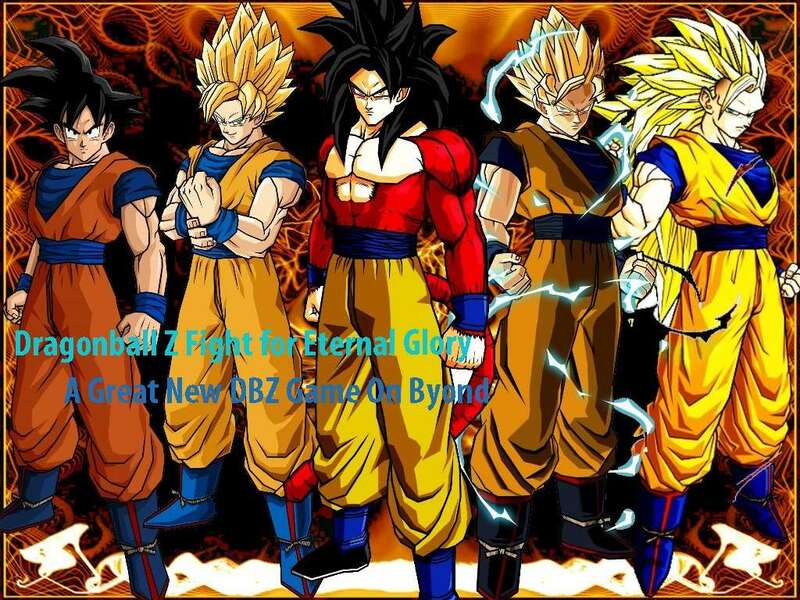 The ultimate battle between good and evil has begun, with Goku and the others commited to defending the Earth against the otherworldly invaders.